Try These 15 Fashionable Plus Size Salwar Suits! The challenge with being a Plus sized woman is to find the right clothes of our choice! A shopping trip to buy something elegant and trendy can leave you embarrassed and disappointed. All we ever get are loose, baggy clothes, which resemble a badly stitched bed sheet. But good news ladies! Many brands have realised the importance of being Size inclusive. Plus Size Salwar Suits are the latest sensation in Indian ethnic wear segment. They are custom made for big framed, curvy bodies. Using patterns, designs and colours that are well-thought about, these outfits can make you fall in love your bodies again! Here are the top 15 trending Salwar Kameez Designs For Plus Size! From workwear to wedding ensembles, plus size salwar suits cater to many occasions. As mentioned above, Plus Sized suits are designed with materials that can cling on to the bodies and render the natural shape without making it look heavy. Fabrics like cotton, silk, velvet, jute, Tussar, Organza, etc., which give a bulky appearance are avoided. Chiffons, georgettes, net, rayon, Viscose, crepe, satin are preferred for making these outfits. Attractive and Cute Plus Size Salwar Suits for Girls in India. 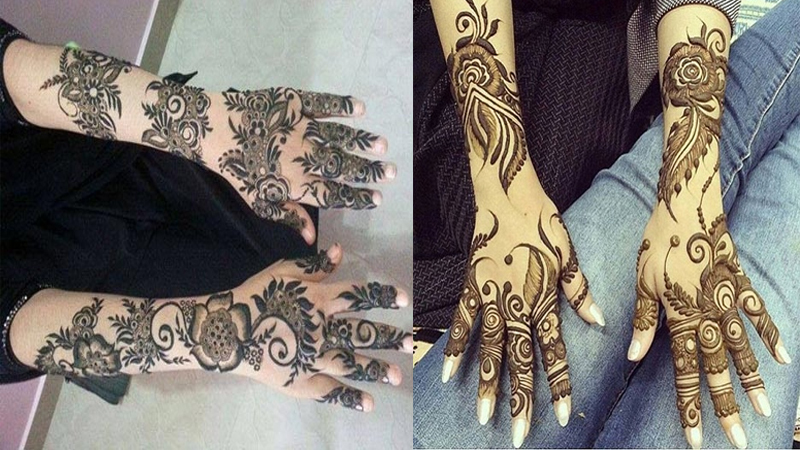 Looking for an outfit that is a perfect blend of modern and traditional designs? Check this one out! The Sky blue and orange patiala style readymade dress comes with an embroidered short kurta with printed patiala. A plain orange dupatta adds an elegant touch to the outfit. Wear it with matching accessories to look perfect! 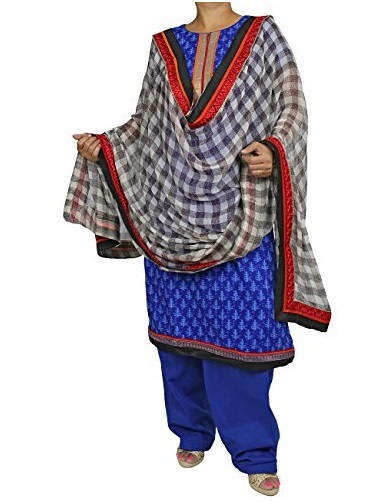 This blue printed cotton salwar suit is an ideal choice for Plus-sized women in summers. The bright blue Kurta is printed with small motifs all over it. A baggy style salwar renders style and comfort to the outfit. This dress is given a designer touch with black and white checks Dupatta. Plus Sized women most often prefer the Churidar style of salwar, as it gives them a slimmer appearance in the bottom. 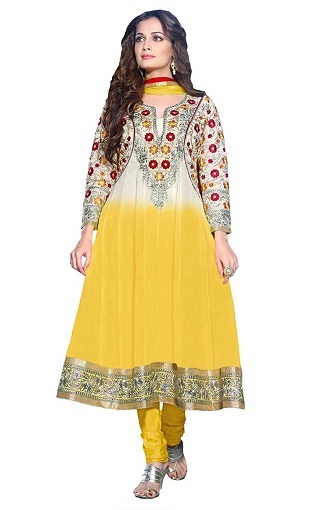 This yellow and white Anarkali Plus Sized Salwar suit is embellished with beautiful floral thread work on the top and silver lace on the Yoke. Best worn with simple accessories! Unstitched salwar kameez suits are always in demand, as they can be customized based on requirements. This particular model piece is an unstitched salwar suit design made for Plus-sized women. 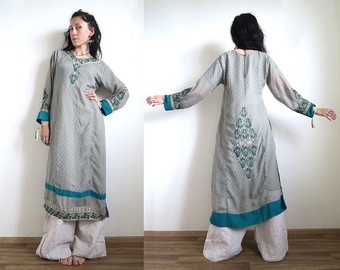 The wide fabric of the Kurta and the Salwar can be used by bigger sized women as well. Wearing this pink and black designer printed salwar can earn you many likes! 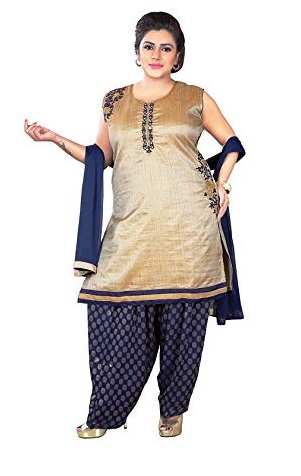 Check out this elegant looking beige and blue patiala plus size salwar. This sober, yet classy Kurta is given in lightweight silk material and is embellished with blue thread and mirror work. The blue Banarasi Patiala salwar stands as a highlight. It perfectly contrasts the simple top and is matched with a plain blue dupatta. When we talk about Plus Sized clothing, Georgette fabric tops the list! This sea green georgette anarkali comes in a floor-length pattern. The freshness of this Kurta is elevated with pink floral thread work to make it suitable for day time parties. It is perfectly complemented with a plain dupatta to highlight the work on the dress. 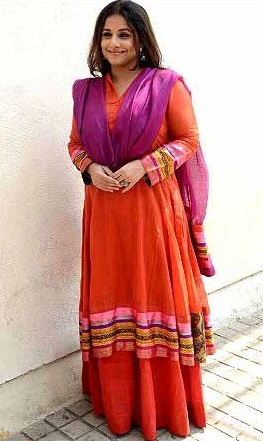 A loose plus size salwar kameez can be baggy on the waist line and fit for she shoulders and chest. The salwar can be straight loose stitch to make the curvy ladies feel comfortable in their sides of thighs. Women with curves can also go for plain color salwar kameez with a plus size stitch that is even loose then their actual figure. The impact of plus size Pakistani design salwar kameez is that they look best on the body without giving more emphasis to the shape of the body. Kaftan’s can be available readymade plus size salwar kameez for women having curves on the top. Women with heavy arms and on chest, kaftan’s look amazing for such women. The loose shoulder and arm stitch gives a pleasant look tot eh lady without their curvy body being shown. Plus size salwar suits designs can be awesome when stitched in traditional attire with a twist. The A-line cut helps you aesthetically flaunt your curves. You can pair it with traditional accessories to look great. 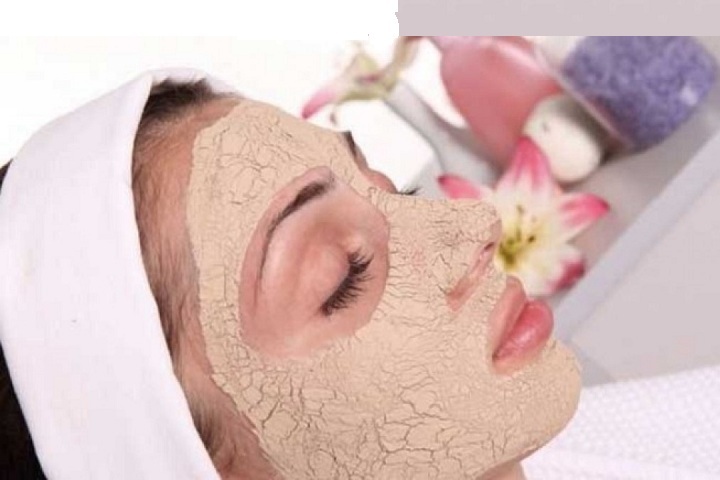 It is best worn with a black legging or Churidar salwar. Ready made plus size salwar kameez designs are also available in the Pakistani salwar kameez collection. The Pakistani attire welcomes the loose stitch design that sets on the figure without being fit to the body shape. Anarkali dresses and flared salwar kameez suits are also best designs for the plus size women for whom it seems hard to get the plus size ready-made salwar kameez. Anarkali and flared slawar kameez are designed in a way that looks awesome on ladies even with a curved body. Embroidery work on loose kameez also brings a touch to the look of women with large body. A plus size readymade salwar kameez with embroidered kameez can give a rich look. Pair it with simple accessories to look elegant in day time events and casual shopping trips. Floor length anarkali dresses are best plus size salwar suits for women. The floor length hides the tummy part too. 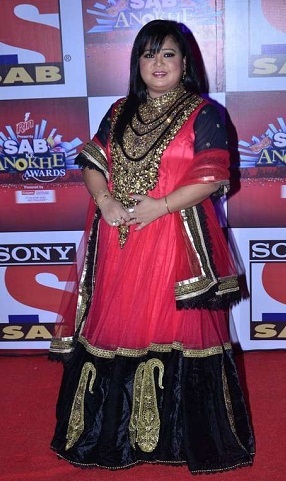 Women with large thighs also can look stunning in the anarkali dresses. A large portion of embellished neck makes them get a designer look. Palazzo salwar also proves to be best plus size salwar kameez designer option for women with heavy body. The look with palazzo salwar makes the appearance look slimmer and to the fashion style. How To Style Plus Sized Salwar Suits? Choose flowy fabrics like chiffons, georgettes instead of stiff materials to look slim. If you have a bulky lower abdomen area, opt for A-cut dresses to hide the excess flab. Anarkali and Angrakha dresses are quite suitable for heavy waisted people. An Empire cut dress can draw attention to your waistline and help you flaunt your curves. Instead of wearing a collar of closed neck dresses, opt for those with deep and wide necks. Wear a light dupatta in side fashion to camouflage your excess fat. When it comes to jewellery, wear either big earrings or necklace and never both together. Wear high heeled shoes or sandals for a slimmer appearance in the thigh area. Amazed with these 15 Plus Size Salwar Suits? Not many women know that they have so many options available in the market. Lack of self-confidence and knowledge about plus-sized dressing, women tend to victimize themselves for being big. It’s time to put an end to this struggle and get awareness of body positivity. Let your size not decide about your beauty! Start loving your body and give it the best care it deserves! 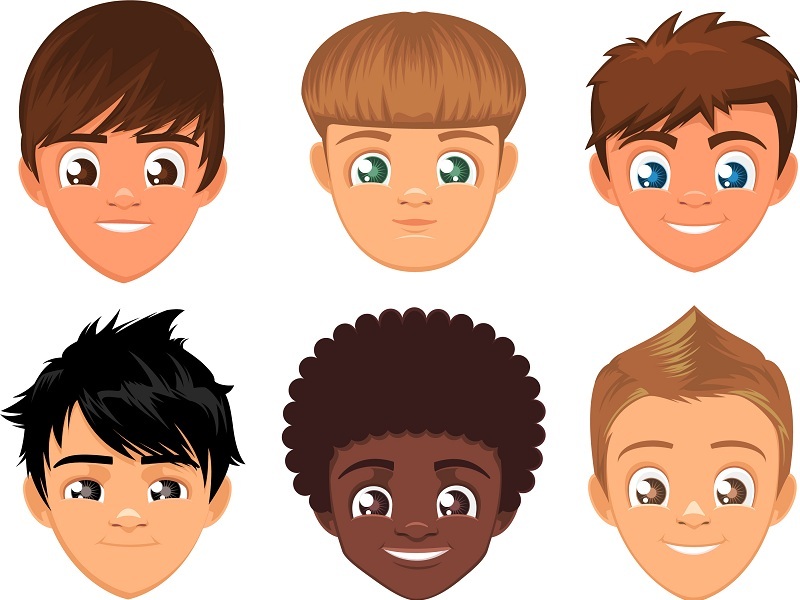 How to Choose a Hairstyle for Boys?